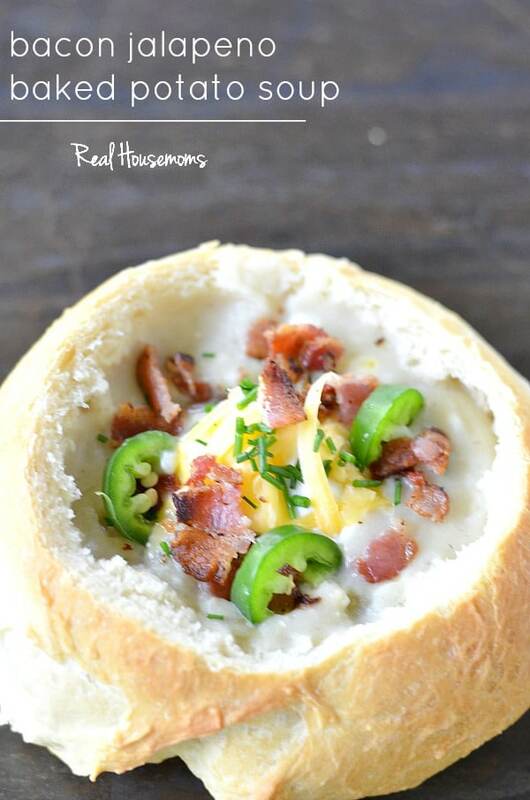 Bacon Jalapeno Baked Potato Soup is thick and creamy with the right amount of heat to warm you up on those cold winter nights! With the cold weather setting in, I crave comforting soups. Potato soups are always at the top of my list. They’re so creamy and they just give you that happy food feeling when the bowl is empty. This time I wanted to bring together two of my favorite dishes for some fall recipe heaven! Everything about this recipe just screams eat me! Rich potato soup, cream cheese for extra creaminess, crispy pops of salty bacon, and a little heat from the jalapeno. I’m telling you, this soup is magic. 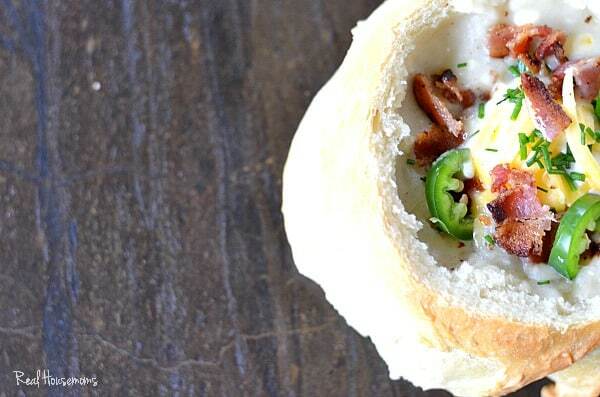 But really, anything with jalapeno and bacon is pretty magical to me. It really is super easy to make and you could even make the baked potatoes ahead of time if you’re making baked potatoes with dinner the night before. Thick soups are so great at warming you up when it gets cold outside. Here in Portland it’s not only cold but usually raining so a warm soup is necessary. I love pairing this soup with freshly baked cornbread or serving it in a homemade bread bowl. It’s everything a comforting dinner on a cool night should be! using the whisk attachment whip the potato insides until all or most lumps are gone, depending on texture you'd like for you soup. I love a good potato soup. I have never used jalapeños in it before… that sounds like a nice addition, even though it might take some convincing/ trickery to get my family on board. This looks soo good! Pinning to the Monday Funday board!